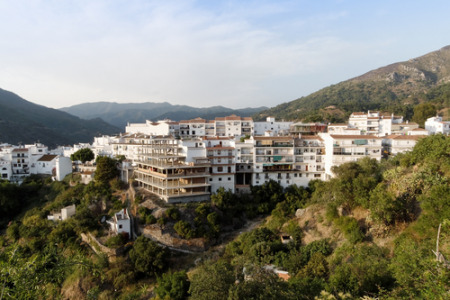 Istan holidays take you to a beautiful mountain village close to Marbella in southern Spain's Costa del Sol. Nestling beneath the Sierra Blanca in a river valley, this traditional settlement offers stunning panoramic views. Holidays to Istan can be taken at any time of year as summers are long and hot and winters are mild. Older couples often take winter breaks in the town in order to escape from inclement weather at home. Holidays in Istan mainly attract couples and those who enjoy hill walking, climbing, cycling, golf and fishing. With comfortable accommodation our cheap Istan holidays offer good value for money. Restaurants serve a variety of menu, shopping is adequate and nightlife very low key with nothing disturbing the tranquility of the village. If more goods are needed Marbella, with its Golden mile, is only ten minutes away. If you wish to take advantage of the soft sandy beaches, or explore the surrounding area, car hire is recommended. We can offer a number of bargain Istan holidays that are hard to resist. For further details and to view our latest Istan holiday offers, please use the search facility.